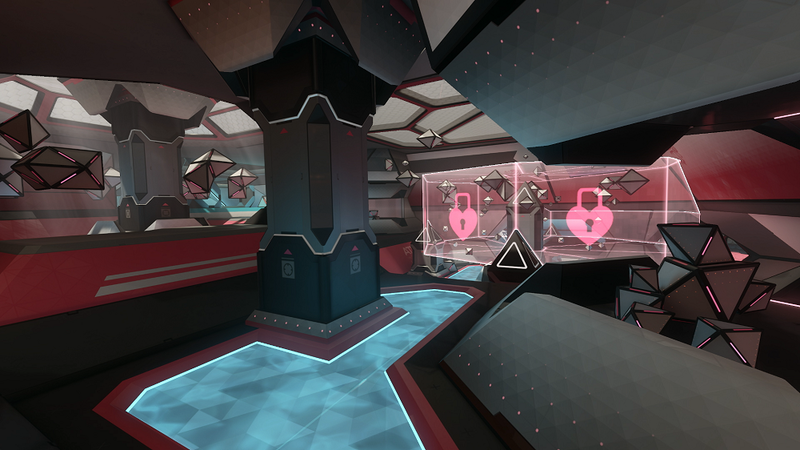 Patch 15.0 brings a new mode, new map, and private matches to Echo Combat. Boost across the new map and capture the point before the opposing Squad to achieve victory! This will be the final Open Beta for Echo Combat until the game launches on November 15th, 2018. 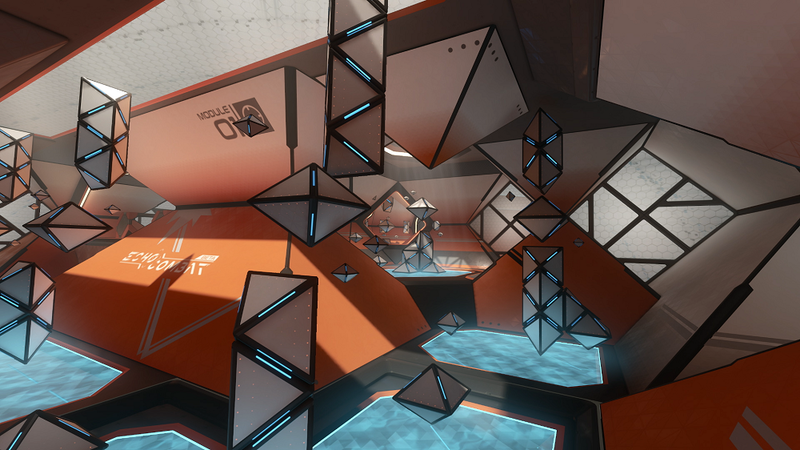 To thank you all for your participation and feedback during our previous Open Beta Weekends, we will be introducing a new map and new mode to Echo Combat, in addition to extending the Open Beta period. The Open Beta will be taking place today Wednesday September 26th at 2:30 PM PDT / 21:30 UTC through Monday October 1st at 10:00 AM PDT / 17:00 UTC! Note: For the duration of the last Open Beta Weekend, the Fission Map and Payload mode will be disabled. Only the Combustion map and Capture Point mode will available during this time. Points that are unlocked and neutral will appear Pink in color. Winning teams can look forward to a new celebration sequence! Two teams battle to control and capture the point! The first team to reach 100% wins the round, and the team that secures the best of 3 rounds will emerge from the match victorious. 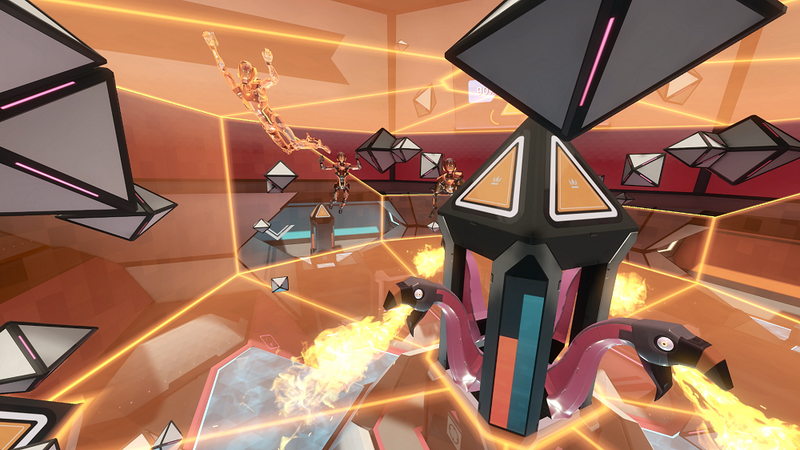 · Players must navigate to the center of the Combustion map and control the Capture Point. · The Capture Point unlocks after 45 seconds and can then be captured by any Squad. · Staying in the Capture Point will take control for your team. Watch out! If any enemy enters the point they’ll contest it, halting your Squad’s capture progress or victory progress. · Owning the Capture Point will build up your Squad’s progress towards victory. · Players who reach Level 20 in Echo Arena unlock the achievement and will receive a Cube-sat for use in Oculus Home. · Players who reach Level 50 in Echo Arena unlock the achievement and will receive a Disc for use in Oculus Home. · Launch the Oculus App. Click on your Username/Oculus ID located in the lower left corner above Notifications. A new side bar, displaying your Friends and Requests, will open on the right-hand side. Click your Username/Oculus ID again. A new window will open displaying your Friends and Achievements. Click the Achievements tab. Select Echo VR. You’ll now be directed to a new page showing Echo VR Achievements, and which ones you have/haven’t unlocked. 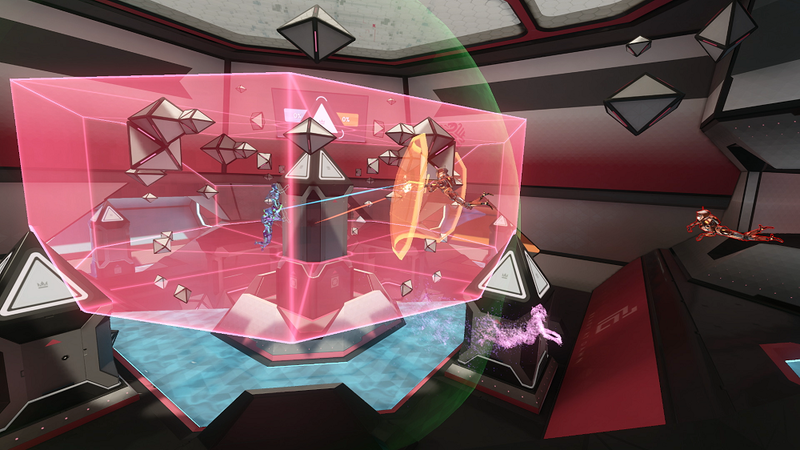 Players can now create and enjoy private Echo Combat matches with their friends. Private Combat matches currently have a 10 player cap (5v5) for matches. Here are some issues that may come up while playing the game. But don’t worry, our Team is working on resolving these issues through hotfix patches! · Players rejoining a private Arena match may not appear on the 2D Spectator mini map. · In 2D Spectator mode during an Arena match, the Camera Pitch Angle can be altered by the headset orientation in Free Cam mode. · Spectator Mode’s camera often clips through level geometry in Arena matches. · The Menu Button will stop functioning if a Player accepts an invite to a private match while already in an Arena Match. · The Private Match Terminal UI will load slowly when pressing the Rules button. · After the disc is stolen during an Arena Match, two disc icons will sometimes display simultaneously in 2D Spectator mode. · Lighting on objects will drastically change between the intersection of the Combat Training Room and the Matchmaking Arena. · The Combat button is grayed out instead of the Arena Button when Players try to create a private Echo Arena match. · The Free Cam mode’s movement control is lost when switching to 3D Spectator and then back to 2D Spectator. · The Announcer VO is turned off when using the F8 function to remove the HUD. · When moving near a goal, the disc can trigger the Score UI on the barrier without actually scoring a goal. · Medals from previous private matches are displayed when rolling multiple matches during the same session. · The obelisks in team Spawn Rooms for Combustion are missing the capture point progress UI. · When a round is won in Combustion, the Round Win indicator circles turn into grey boxes. · Players may experience visual issues on the new Combustion map, such as Geo dropping out or ceilings becoming see-through. · The Comet doesn’t deal AOE damage to Energy Barriers. · Players will still be able to see their teammates’ usernames while they are in the War Room. · Players can hear and see defeated Players using their boosters and micro-thrusters. · The Objective Timer tracks inconsistently on the scoreboard in the Combustion map. · “MERCY WIN” text will no longer overlap player scoreboard text after an Echo Arena match. · Spectator camera hotkeys will now update if Player positions in the list change during a match. · The Jousting Advantage text will now reset in 2D Spectator Mode when Sudden Death is triggered. · The 2D Spectator hotkeys for Blue and Orange players will no longer be reversed. · Arc Mine and Stun Field now have similar visual themes and are team colored. · Stunned players will now have full body stun FX. · The Nova will now deal appropriate damage to the Energy barrier. · Players holding a Detonator Ordnance when the game ends will no longer have the remote stuck in their hand. · The Arc Mine’s activation time will now reset after being grabbed.